Design work on (and arguments about) the new residence on the 360 Rua Sao Clemente site resumed in 1944, notwithstanding Viscount Davidson’s favourable report about the house already on the site. The assumption was that Britain would be returning to South America in a big way, and especially to Brazil, the continent’s largest country, with the longest established British embassy, and the most senior ambassador. 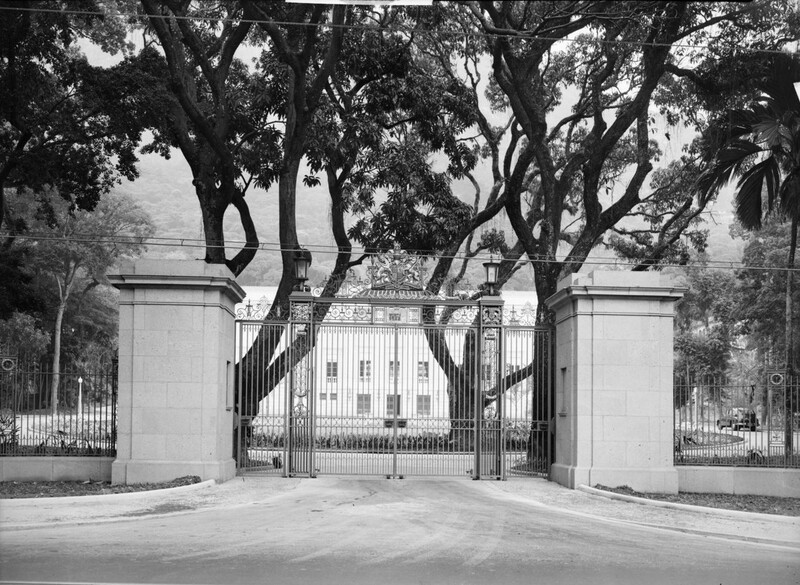 The Foreign Office initially wanted to build new embassy offices in the garden instead of keeping them in town, but the Ministry of Works succeeded in contesting this. Howard Jones, one of its senior architects, summarised to Prentice some of the recommendations of the recent Foreign Service (Advisory) Committee about post-war residences. 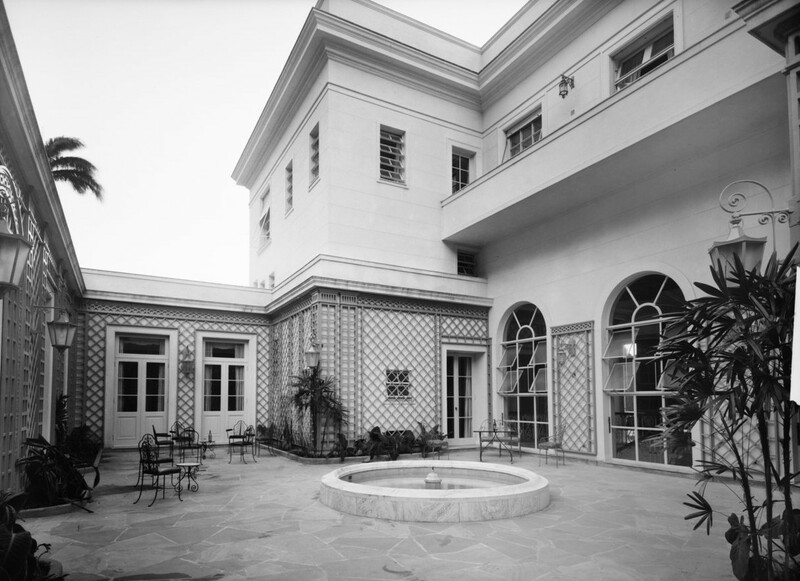 These included the general observation that the “architect should endeavour to have regard to traditional English ideals whilst designing the building in harmony with its surroundings”, and the specific advice that a private area should be included in all future residences for the ambassador and family. In the furtherance of these advices, Howard Jones rashly told Robert Prentice that, instead of amending the pre-war scheme, ‘we would prefer to allow you complete freedom to design a scheme which will meet the points raised by the Committee’. This left far too much discretion to Prentice and the ambassador, by then Sir Noel Charles, who was adamant that the British building should not be dwarfed by the huge new American construction next door. The scheme was thus allowed to grow steadily out of hand. No formal brief was ever written and so the building area simply grew: the underlying planning, though, was extremely competent for the envisaged purpose of the building. 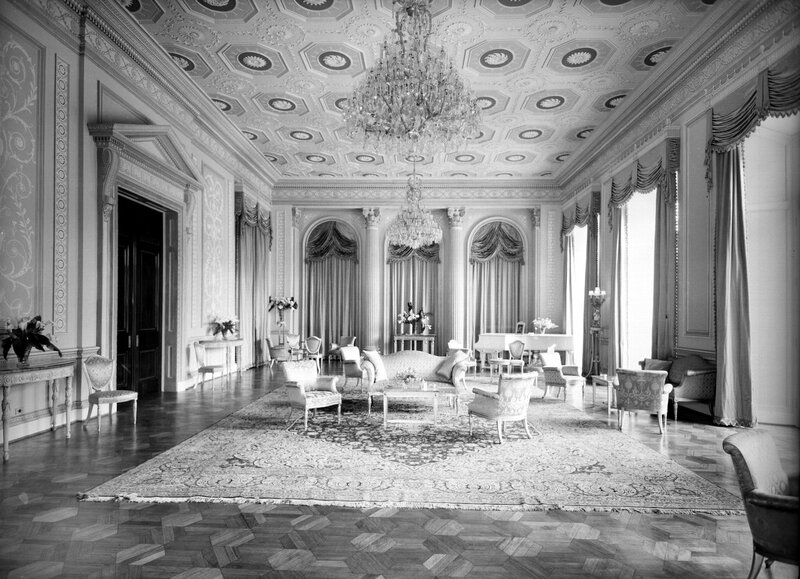 A grand formal facade and elaborate Adam-esque interiors were intended to recall memories of past British influence and close collaboration with Argentina. 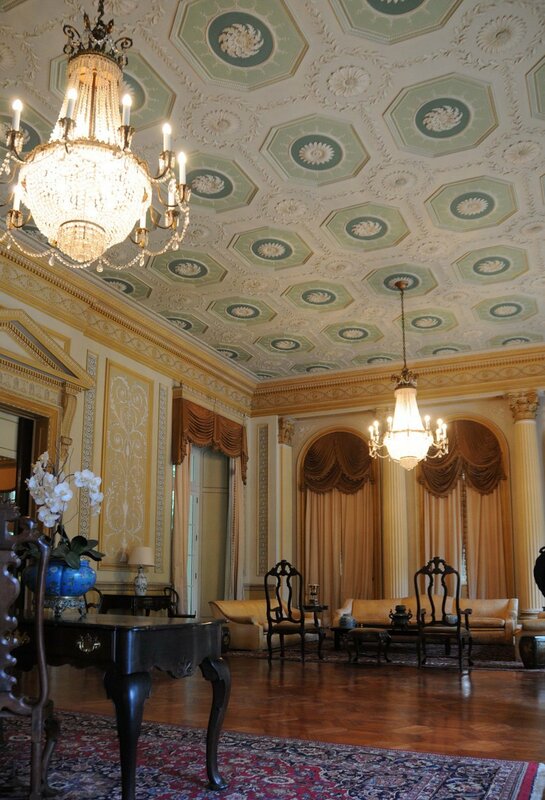 The podium was faced with Ipiranga marble from the State of Minas Gerais, and the floors above were stucco. 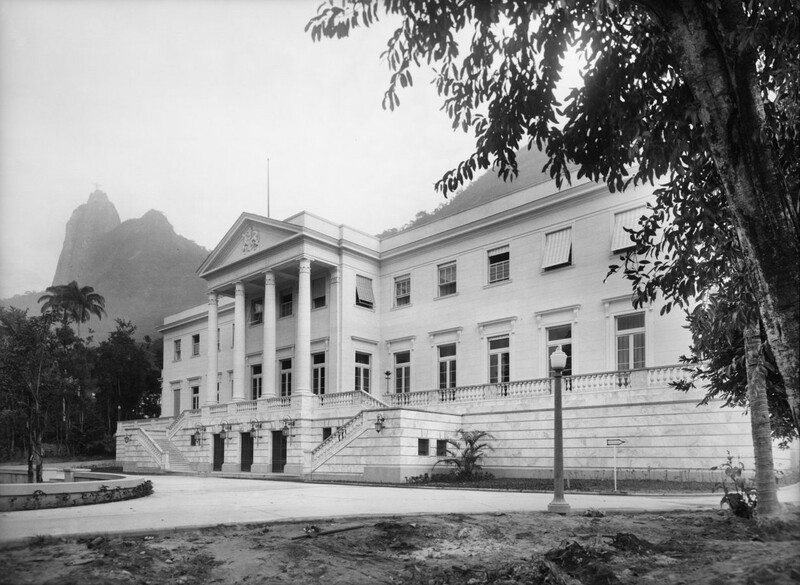 (The front elevation also bore marked similarity to Prentice’s own Itamaraty library building in Rio of 1928-30.) A British architectural correspondent, on the other hand, suspected that ‘many will sense uneasily that the chosen style symbolises a yearning for the past, a sandhill where diplomatic ostriches may bury their heads against the present’. Several of the senior architects in the Ministry of Works in London also harboured doubts: Victor Farrier, for example, asked the deputy director of works, Charles Mole, to have a look at the proposal: ‘Looking at the site with its palm trees and mango groves, one wonders if the 1939 “Whitehall” building is the right solution’. Eric de Normann, the deputy Secretary, showed the elevation to the minister, George Tomlinson, who thought it looked ‘very nice’. 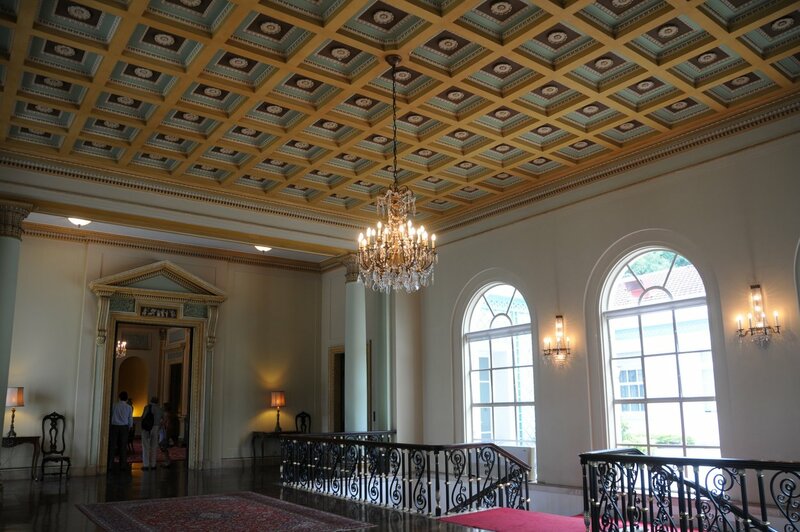 Enormous attention was paid to the interiors, and especially the three main representational spaces of entrance hall,/stairway/reception hall, reception room/ballroom and dining room. 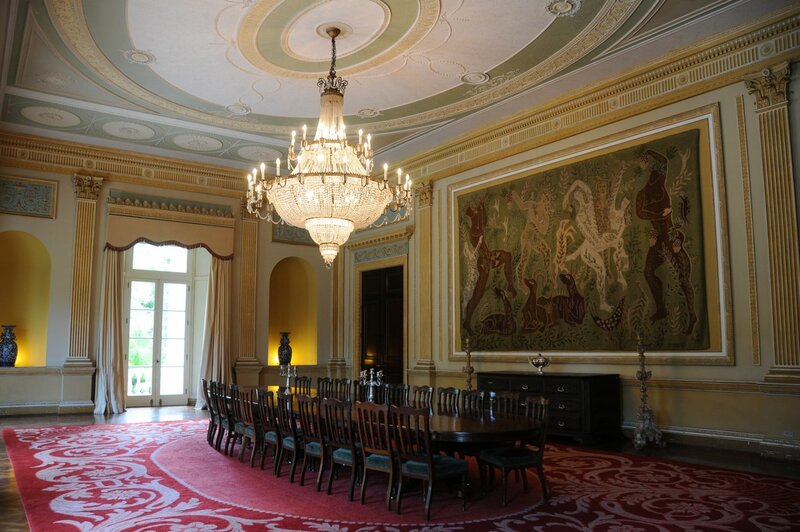 For a few examples: an Adam ceiling in London was copied for the reception room, and a large 17th century Flemish tapestry hung in the main dining room, beneath two 60 light crystal chandeliers that were sent from London (and had formerly belonged in the Vienna residence), and above a set of 50 reproduction Adam chairs. 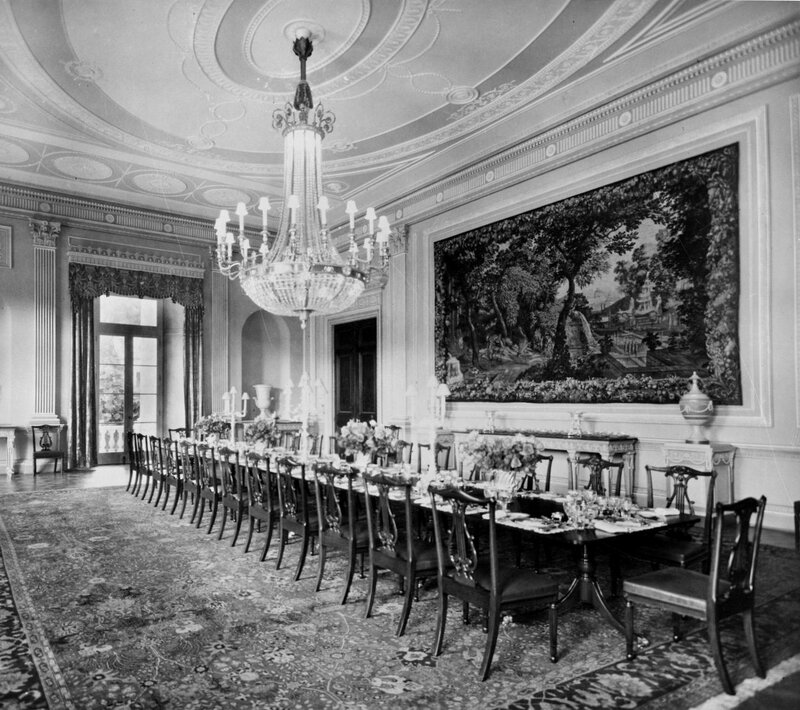 Five paintings were commissioned in 1949 for the private dining room (which seated 16) from John Piper of Regency architectural scenes in Bath, Cheltenham and Brighton. The private apartment was air-conditioned. In early 1945, the Treasury had agreed a cost estimate for the scheme, excluding the cost of the site, of £150,000. The Treasury later accepted advice that the contract should be on a prime cost percentage basis (agreed at 16%) ‘though we dislike it very much’. The selected contractor (one of only two thought fit for the job) was Companhia Construtora Pederneiras S.A., with a contract period of 30 months. 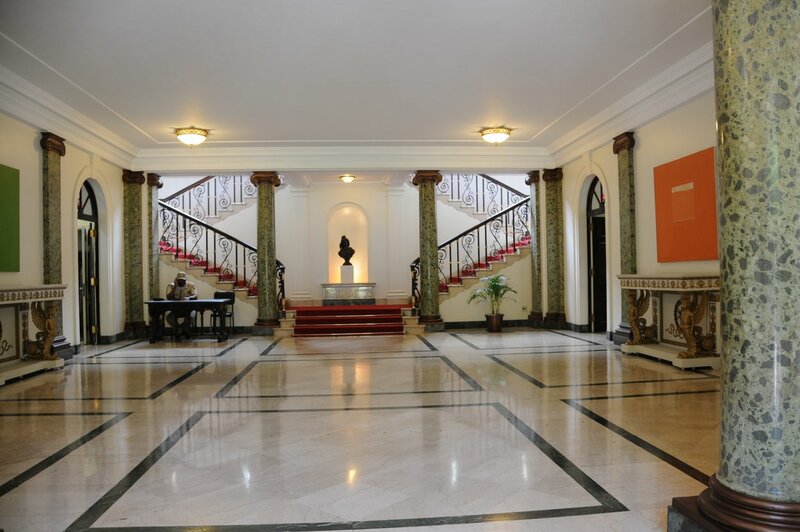 By the time that Lady Gainer, the ambassador’s wife, laid a foundation stone on 22 March 1947, during a visit by HMS Sheffield, the estimate had increased to £275,000 as the cruzeiro strengthened and local materials were scarcer and more expensive than allowed for. Doubts about continuing with the project were circulating in autumn 1947, and the Ministry’s director-general of works instructed in November that a quantity surveyor should visit and report in detail. The ambassador suggested to the Foreign Office that the private apartment on the ground floor round two sides of the patio could be ‘left for the present’. But the decision, heavily supported by the Foreign Office, was to keep the project going as planned. In March 1948, the Treasury approved an out-turn estimate of £315,000 which increased to over £340,000 with further adverse rate of exchange movements. In May 1949, the target completion date was re-set at December 1949. Devaluation of the pound sterling in September 1949 resulted in another approved estimate of £400,000. 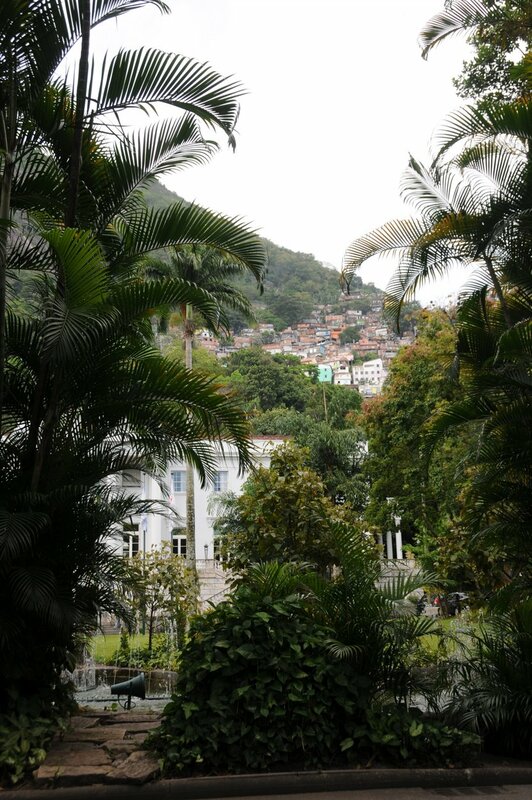 The ambassador had moved in 1947 from the former house on the site, just prior to its demolition, into a temporary residence at Praia de Botafogo, leased partly furnished for 2 years to Feb 1949 with an extension option, which proved necessary: Petropolis also remained available to him. Sir Donald Gainer’s successor as ambassador, Sir Nevile Butler, moved into still-unfinished building on 1 April 1950 in the hope that this would put pressure on the contractor to complete it. The completed building was formally inaugurated, about six months beyond the original contract date, on 22 June 1950 with a reception and ball for 1700 guests. The final cost was £413,647, with a significant proportion of the sterling overspend attributable to exchange rate movements. The Public Accounts Committee held a hearing to examine this sorry financial out-turn, and produced an unsurprising report recommending avoidance of non-competitive contracts and more care to ensure that standards sought are not higher than can be afforded. Within five years of occupying the new residence, it was announced that the capital of Brazil would be moving from Rio de Janeiro to Brasilia. 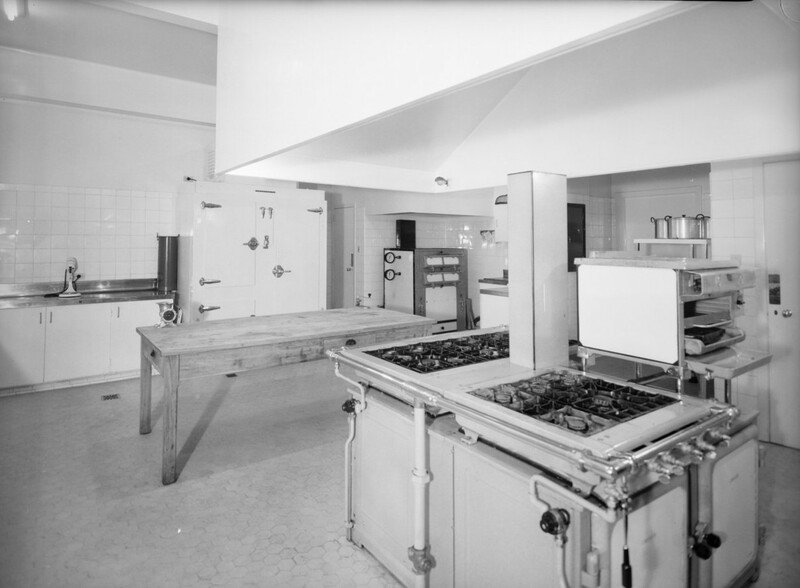 Ambassadors spent increasing proportions of their time in Brasilia from the mid-1960s until the whole embassy moved there in 1972. There were long and inconclusive discussions throughout the 1960s about what should best happen to the Rio residence once vacated but, when the time came, sale looked the sad but most promising outcome. 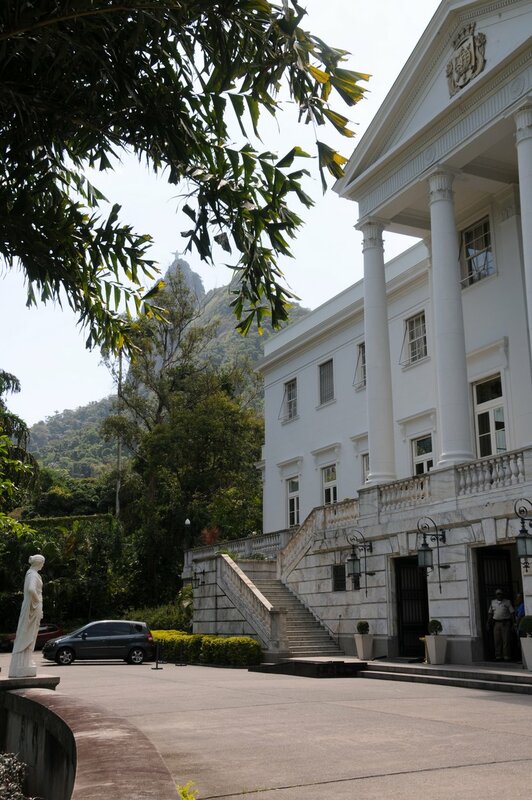 It was eventually sold in 1975 to the Mayor of Rio for £2.2 million: it serves today as the Palácio da Cidade and is the official residence of the Mayor of Rio. It serves its new purpose well, is widely admired, exemplarily preserved, and is maintained in excellent condition. The offices of the embassy and the consulate were always in separate leased premises near the centre of the city and, by the early 1960s, were scattered across several buildings. The chancery and commercial sections were in an apartment block Edificio Tucuman at 284 Praia do Flamengo, the consulate-general in Florida building at 322 Praia do Flamengo, and Information offices in Rio Tinto building. 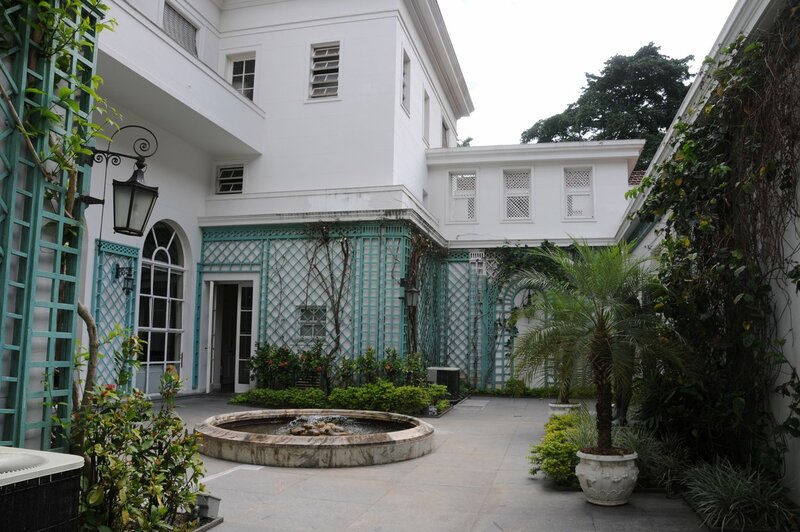 The move of the embassy to Brasilia was taken as the opportunity to consolidate in one building all of the offices remaining in Rio de Janeiro. Accordingly, two apartments on the first floor of the Edificio Tucuman building at 284 Praia do Flamengo were joined together to become the consulate-general offices (which remain there). A residence for the consul-general was bought in 1974 for £170k at Apartment 1101, Rua Paolo Cesar de Andrade 232 (and was sold in 2006?). 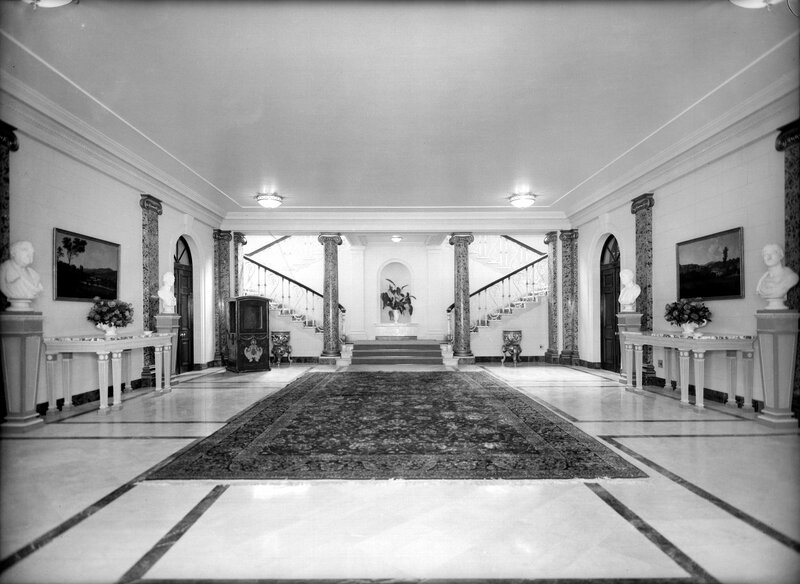 Entrance hall with stairs to reception hall, 1950. 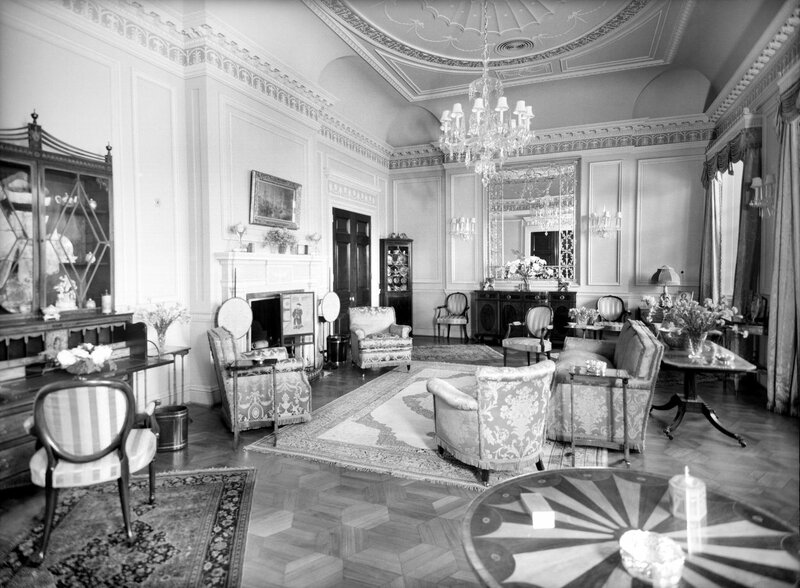 In the reception hall, looking into the reception room, 1950. Looking into thje dining room, 2013. 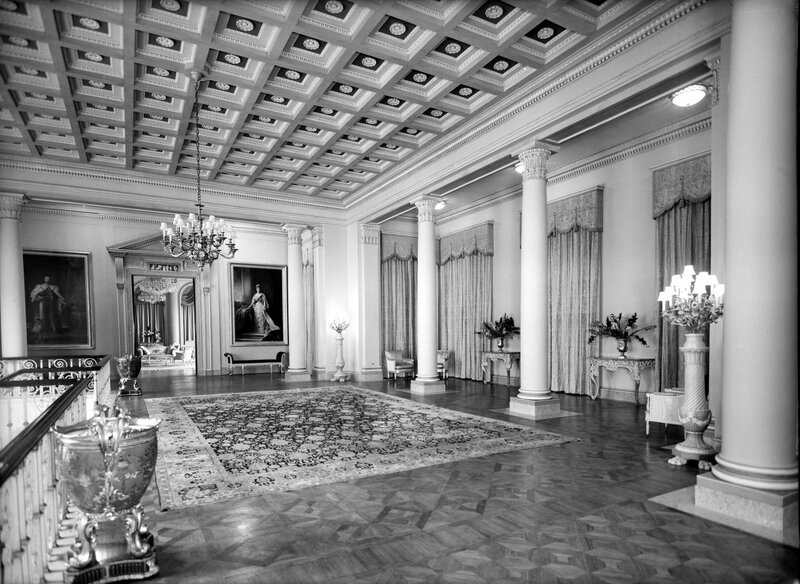 The reception room /ballroom, 1950. Entrance gates, made by Messrs. Martyn of Cheltenham, 1950. View from entrance gates, with favella behind the palacio, 2013. Residence with Christ the Redeemer beyond, 1950. 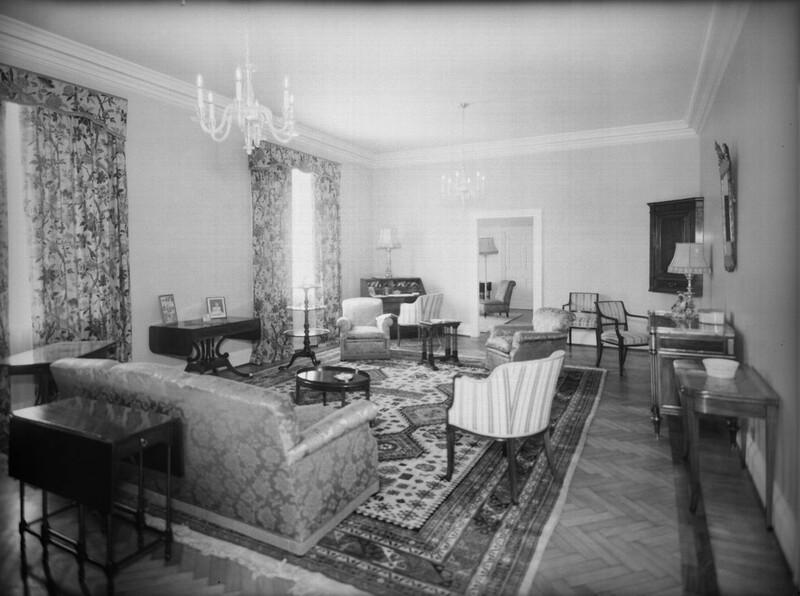 Sitting room for principal bedroom, 1950. 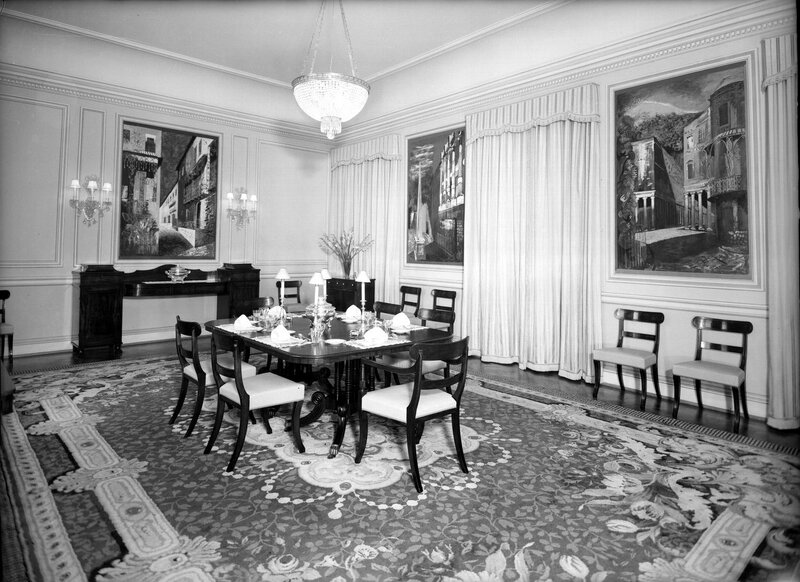 Private dining room, showing three of John Piper’s five paintings, 1950. Principal, i.e. 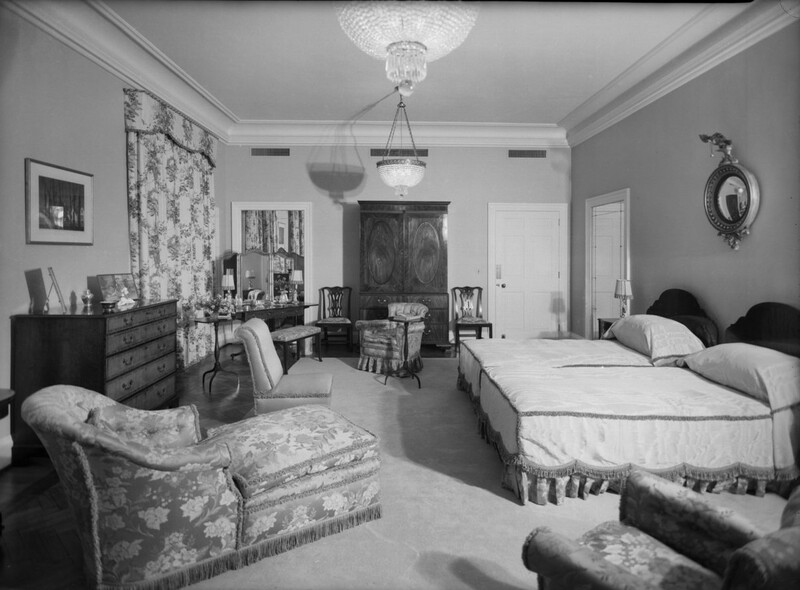 ambassador’s, bedroom, 1950. 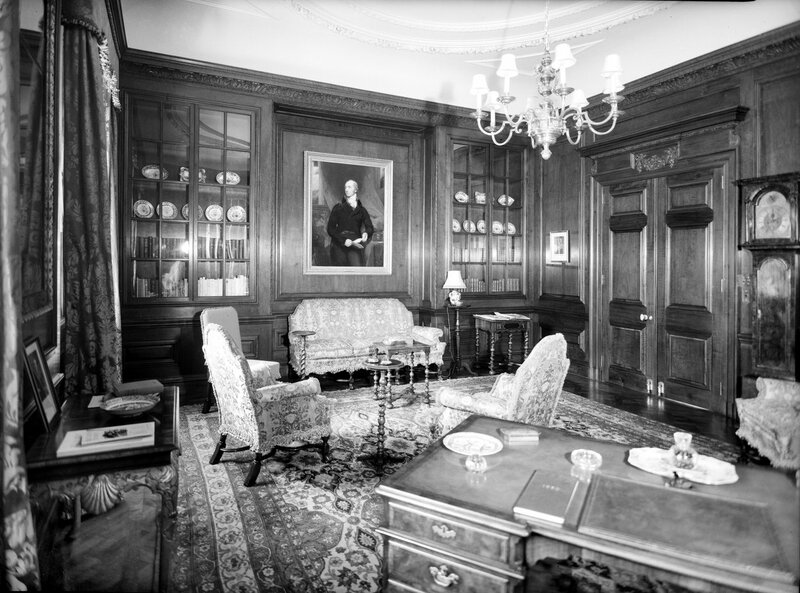 Library, with imbuia wood panelling, 1950.